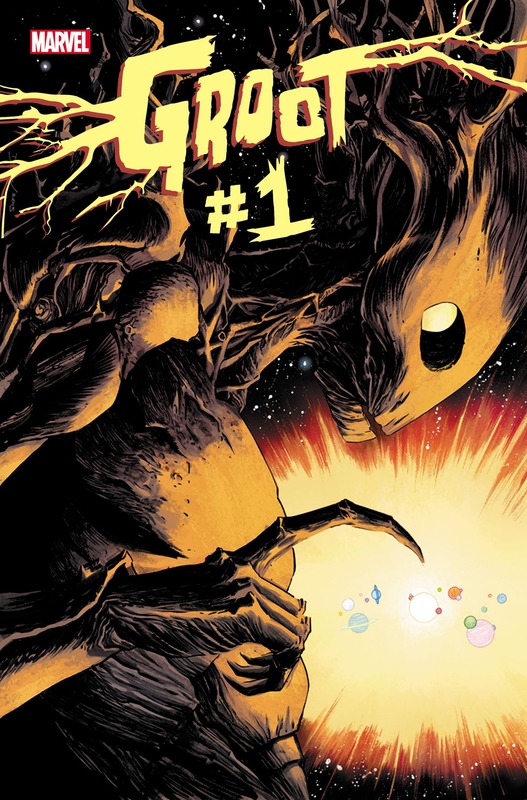 Home » comic news » Marvel announces GROOT solo series coming this July! Marvel announces GROOT solo series coming this July! Mashable have just announced that, following the success of Skottie Young’s Rocket Raccoon solo series, Marvel are planning to debut a brand new Groot ongoing series this July! The series, from comic newcomers Jeff Loveness and Brian Kesinge, will delve a little deeper into the story just how Groot and Rocket met in the first place. “That brings up so many opportunities for comedy, but it also brings in that human aspect of feeling lonely and isolated from the world around you. If you lose your translator, you’re on your own out there.”. As you can see from Kesinge’s artwork, the series is clearly going for a light-hearted comedic vibe (in a similar vein to Skottie’s Rocket Raccoon), which might not be the worst idea in the world. You can also also check out Marvel’s official blurb below. So, what do we think of this one then, folks? When Rocket and Groot are on an intergalactic roadtrip and calamity strikes, the two get separated — and for the first time in years, Groot’s on his own! Written by comedic ace Jeff Loveness (“Jimmy Kimmel Live!”) and drawn by Marvel Comics newcomer Brian Kesinger (Disney Animation), get a front row seat for EXPLOSIONS, SPACE SHARKS, ALIENS, AND INTERGALACTIC HITCHIKING (YEAH, BABY! YOU READ THAT RIGHT)! Whatever may be coming Groot’s way, one thing’s for sure — it’s going to be a GROOT adventure! 1 Comment on Marvel announces GROOT solo series coming this July!